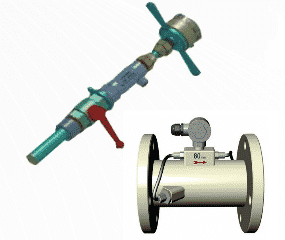 Insertion / Full Bore Electromagnetic Flow meter were developed and introduced in Full Pipe Water Flow Measurement Market as an innovative ALL IN ONE flow meter.The basis of operation of electromagnetic flow meters is the Faraday’s Laws of Induction. 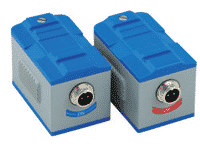 BP-IFM2000 is an electromagnetic flow meter that uses insertion sensor, it is battery powered by a Lithium battery type LiSO12 lasting upto five years and it can be powered by a 24 VDC power supply too. The IP68 protection grade of the main unit and the IP68 protection grade of the sensors complete the excellent performances of this flow meter. 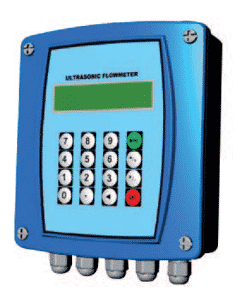 The Transit Time Flow Meter of TTFM series measures flow rate by calculatingthe spreading time of an ultrasonic wave in a liquid, going upstream and downstream into a pipe. This flow meter is mostly used to measure the flow rate of homogeneous fluids, also with a quite high percentage of suspended solids. The measuring system is composed of a couple of ultrasonic transducers acoustically coupled to the external pipe’s wall – clamp on sensors (it is also possible to use transducers in direct contact with fluid to be measured- called wetted sensors) and a HOST unit elaborating the signal that are sent and received from the transducers. All the measures colud be driven to the RS485 in order to save data into a PC remotely transmitted by telemetry and AC and DC supply :85…264 VAC and 24 VDC. To measure the thickness of any structure or material including steel, cast iron, brass, copper, zinc, PVC.